2013 marks the 50th Anniversary of the Outdoor Summer Shakespeare at the University of Auckland, an institution that has served as a breeding ground for Auckland theatrical talent over the past five decades. To celebrate, the AUSA Outdoor Shakespeare Trust will present the Bard’s greatest tragedy, King Lear, for a season in March. Featuring theatre professionals, alumni and current students, King Lear boasts the Summer Shakespeare’s most distinguished creative team to date. Internationally renowned actress Lisa Harrow – formerly of the Royal Shakespeare Company, and a cast member in the very first Auckland Summer Shakespeare – brings a wealth of experience to her role as the production’s director. She is joined by acclaimed NZ actor/director Michael Hurst, who serves as artistic consultant and plays Lear’s all-knowing Fool. The part of Lear himself is taken by eminent Shakespearean scholar Professor Michael Neill, older brother of the show’s Executive Producer and famous leading man, Sam Neill. The cast numbers over 30 people and will serve to illustrate the increasingly demented king’s dystopia. Top New Zealand composer Gareth Farr will further underscore Lear’s pain with clashes of brass and percussion. King Lear, a work seldom performed because of the sheer stamina required of its performers, tells the story of a patriarchal world dragged into disarray by a conflict between truth and madness. Harrow, in conjunction with Oscar-winning costume designer Ngila Dickson, NZ sculptor Michael Parakowhai, and emerging set designer Jessika Verryt, aims to transport the audience back to a darker age, while holding a mirror up to our contemporary world. Join us to celebrate the past 50 years of a unique theatrical experience, and to launch the next 50 with a bang! ALL BOOKINGS AND COLLECTION OF TICKETS ARE FROM THE MAIDMENT THEATRE, 8 ALFRED STREET. Please note that tickets booked will not be posted out until mid January 2013. If you require your tickets before then, please email us at maidmentbooking@auckland.ac.nz to arrange delivery. 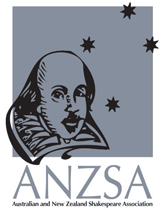 « CFP: “Shakespeare in Global/Local Context”, Seoul, SOUTH KOREA, 1-2 November 2013.